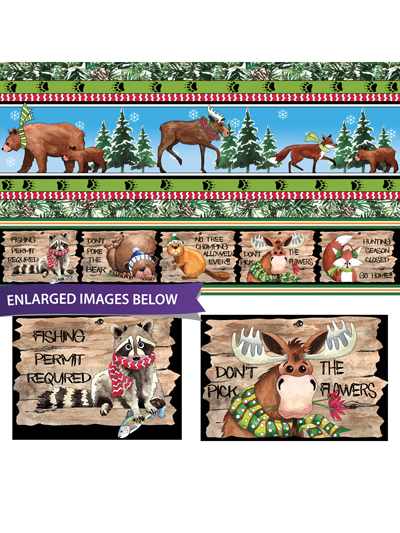 Words & Inspiration Fabric - North Woods Neighbor Stripe 1 Yard 36" x 44"
Lots of friendly animals and fun sayings are brought together with festive color. 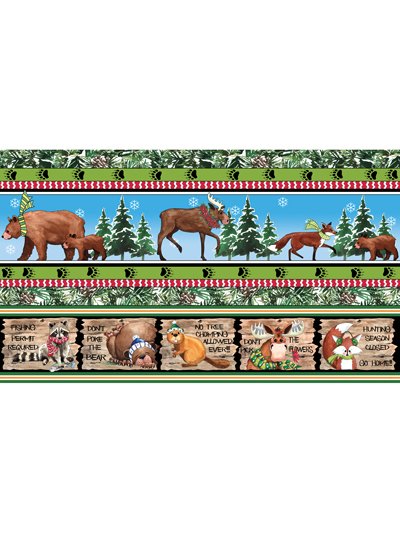 Fabric is a 1-yard cut and continuous stripe, and it coordinates with the North Woods Neighbor Panel. Strip repeat is approximately 10 1/2" tall.